For the first time, Jazz Musicians’ Association’s Jam Session will be hosted by UMO Ensemble! The leader of the house band is UMO Jazz Orchestra’s beloved drummer since 1993, Markus Ketola. Now Ketola unites for the first time with classy jazz guitarist Tuomo Dahlblom, saxophone virtuoso Mikko Innanen and rising star bassist Tuomas Talvi. 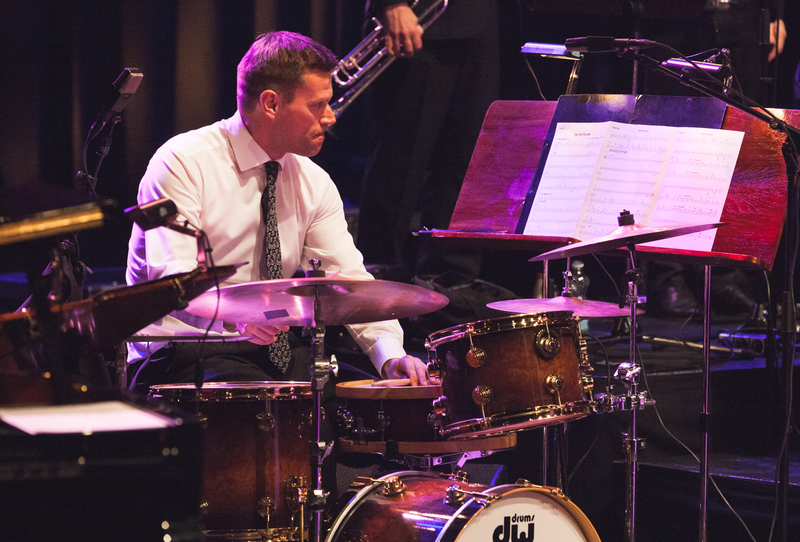 The jam session is organised by Jazz Musicians’ Association together with UMO Jazz Orchestra, Jazz Finland (Finnish Jazz Federation), Sibelius Academy Jazz Department, Metropolia University of Applied Sciences and Pop & Jazz Conservatory. UMO is thrilled to be involved with the regularly organised jam sessions that strengthen UMO’s connection with freelance musicians and younger jazz talents.